This one’s for the cheese-lovers. 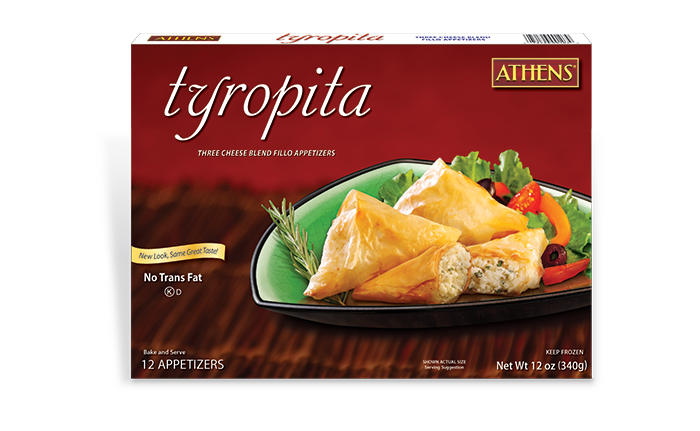 The melt-in-your-mouth textures of feta, cream and cottage cheeses blend with flavorful seasonings to create this authentic Greek specialty hand-wrapped in a crispy phyllo triangle. Need a quick weeknight meal? 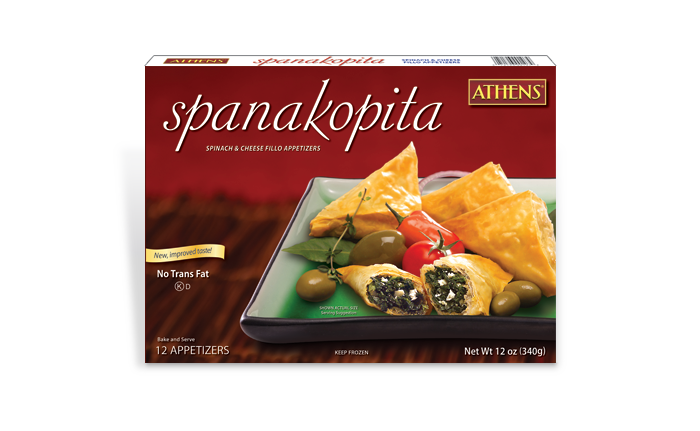 Tryopita taste great paired with a summer salad or dunked in soup. They’re also a hit at parties — just bake, serve and bring with you to be the GOAT of your next potluck. Feta Cheese (pasteurized milk, salt, cheese culture, enzymes), Enriched Wheat Flour (wheat flour, niacin, iron, thiamin mononitrate, riboflavin, folic acid), Cream Cheese (pasteurized cultured milk and cream, salt, stabilizers [xanthan, carob bean, and/or guar gums]), Water, Cottage Cheese (cultured pasteurized skim-milk, milk, cream, salt, grade A whey, grade A lactose, guar gum, carrageenan, locust bean gum, citric acid, lactic acid, phosphoric acid, natural flavoring, cultured grade A skim milk, Vitamin D3, enzymes), Canola Oil (canola oil, rosemary extract, ascorbic extract [antioxidant]), Corn Starch, Contains less than 2% of each of the following: Egg Whites, Cultured Wheat Flour, Vital Wheat Gluten, Salt, Spices, Preservatives (calcium propionate, potassium sorbate), Dextrose, Maltodextrin, Citric Acid. Some things are just better together. Spinach and cheese are two of those things. Bake and serve these handmade triangles for a savory bite that goes with everything. 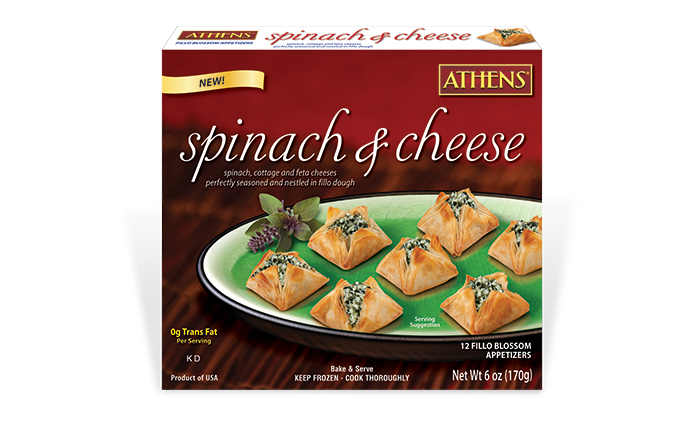 Vegetarians and meat-lovers alike will crave this savory spinach and triple cheese blend.